Sense8 Has Been Renewed For A Second Season! 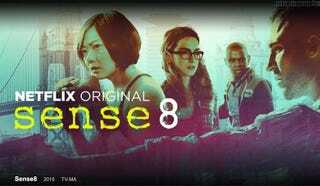 Netflix announced via Twitter that their science fiction show, Sense8, will return for a second season. The J. Michael Straczynski/Wachowski siblings show debuted on Netflix in June, and followed eight strangers from around the world who were mentally linked to one another. August 8th marks the birthday of the eight characters in the show, which strikes us as the perfect date to announce a second season.